The Columbus Blue Jackets have traded Ryan Johansen to the Nashville Predators for defenceman Seth Jones. Johansen has been rumoured to be moved for weeks. Essentially, since the hiring of John Tortorella, Johansen has been in the hot seat. He was benched multiple times and hasn’t been able to perform under his new coach. Johansen was a true number one centre, something the franchise hadn’t had. However, it became clear that his personality was no longer a fit and a change needed to be made. 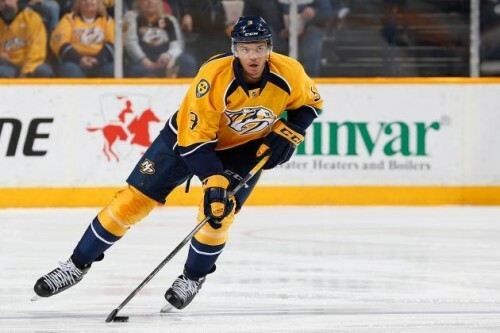 In Seth Jones, the Blue Jackets acquire a young and talented defenceman. He was drafted 4th overall in the 2013 NHL entry draft. The 21 year old already has 199 NHL games under his belt and experience behind Shea Weber. Jones will have the opportunity to take on a bigger role as a Blue Jacket. When all is said and done, Nashville will likely come out on top in this deal. Johansen is a number one centre, a position not easy to fill, just ask the Toronto Maple Leafs. However, under the circumstances, Columbus will be very happy to acquire a 21 year old blue liner who can anchor the defence for years to come.